Whether you’re a large high school in a big city, or a smaller public school in a rural area, having a trusted method of contact with your students and parents is of dire importance in the case of an emergency, school event, or important deadline. With a text message service for schools, such as SendHub’s innovative and simple SMS solution, it’s easy for school employees to send text alerts and messages to hundreds of students and parents all within moments. So how can bulk text messaging help your school, and how can you utilize this innovative solution to stay in touch with students and parents alike? What is Bulk Text Messaging? Bulk text messaging is the distribution of a large number of text messages to a mass of individuals, usually surrounding a specific topic or outlining important information. 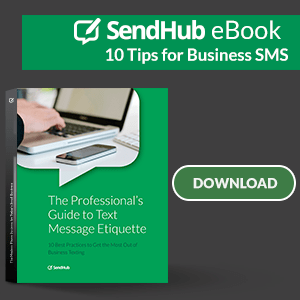 At SendHub, we make these services easier to access through a simple, out-of-the-box SMS solution that helps businesses, companies, and educational institutions keep in touch with customers, vendors, and other important groups of individuals. How Can a School Benefit from a Text Messaging Service? With a bulk text messaging service for schools like SendHub, teachers and school administrative staff have the opportunity to share information with parents and students securely, privately, and instantly. With a text messaging service, schools are able to connect directly with either parents or students, as organized groups can be created to quickly send out information to the right recipients. By sending out class updates, reminders about extracurricular activities, projects, or important school events, every parent and student will have access to the necessary information that makes a child’s educational experience a success. With SendHub’s school text message service, parents or students can send back images of documents they’ve signed or other important information via MMS, and can be received either online or from one of our iOS or Android apps. How You Can Make Sure Everyone Gets Important Text Messages? During school registration, try and collect the cellular numbers of both parents and students on your registration forms. In elementary and high schools, be sure to discuss the text messaging service, and how it works, with parents and students alike so that they’re comfortable using the service, and know that the information can be trusted. Make sure to promote the fact that you will be sending important school information via text to parents. This can be done on your school’s website, during announcements, during parent teacher meetings, and in monthly newsletters. This way, they know they can expect to communicate with you efficiently on their cell phone. SendHub wants to help keep your parents and students well informed and safe. 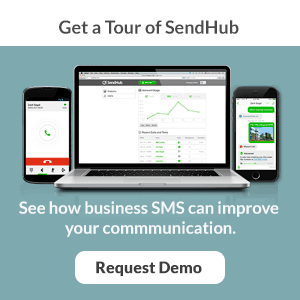 If you want to try SendHub’s SMS solutions for free, you can start your free trial today!